This is a tutorial I started doing last summer. It was meant to show the step-by-step progression of my Mountains of Mirkwood map, but as I felt it wasn't my best work, the tutorial stopped. However, holiday boredom has led to me carrying on with it. At the beginning, it shows my MoM map, but most of it shows my Old Fords of Anduin 2 map, with a little bit of the BadMadMax's Carrock map that I edited. I hate downloading a map that is rated highly on a site like MEVault, and then when I play it, it is crap: poor terrain, badly textured, imbalanced, lakes for rivers etc. It is also a pity when people make a nice scripted map but neglect these things. Therefore I decided to write this tutorial, which will follow me building a map, step by step, so others can see what it really takes. Whilst scripted maps are popular, I will be focusing just on the visual and gameplay aspects, i.e. how to make a skirmish map that is EA quality. 1. 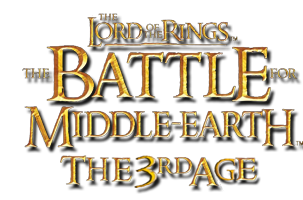 Battle for Middle-earth Worldbuilder – I use BFME WB I, but the vast majority will also apply to BFME WB II. 2. At least 512 MB RAM - I used to have 512 MB of RAM and 3.2 GHz processor which ran WB fine. Don’t have any needless things going on in the background, including things like MSN Messenger, so quit them before opening WB, unless your PC can handle it (1GB plus). 3. Patience – if you don’t have this then leave now, you’ll never become a good mapper. 1. Whilst I will try to go over the basic as much as possible, I don’t plan on saying “you can find this option two thirds of the way down in the View menu” etc. But who know. 2. Try to familiarise yourself with Worldbuilder before trying the advanced stuff. I learned by just playing around with the tools and I just happened to get good at it. However a lot of people don’t have the time/patience/ intelligence to do this. rom were can idonload this worldbuilder? It's a castle for BFME 1. The smaller one is a camp, the even smaller one is an outpost/expansion. The direction refers to where the gate is. the large black circles with the directions - what do they do? How about the smaller black circles with the red font and the 3 meshed black circles? @militaryman: That's part of WB. It only shows some tiles in an effort to cut down on the resource usage. If you want to enable the full map even when showing many tiles, go to View -> Show All of 3D Map (Or press Ctrl+A). Thanks SO much! I can finally make maps that actually work! Arg!!! i dont have the player list and team!!! please help. wait. found it. it doesn't have the shortcut, though. Hope my new map I am making will be really nice!